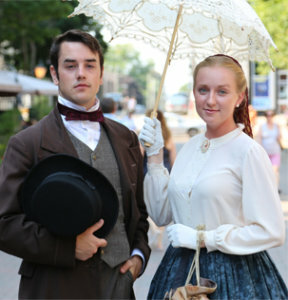 History comes alive when you stroll through Charlottetown’s historic district with the Confederation Players – a troupe of actors who interpret the roles of of the Fathers and Ladies of Confederation. Join the Players for a guided walking tour or attend a historic vignette outside Province House. 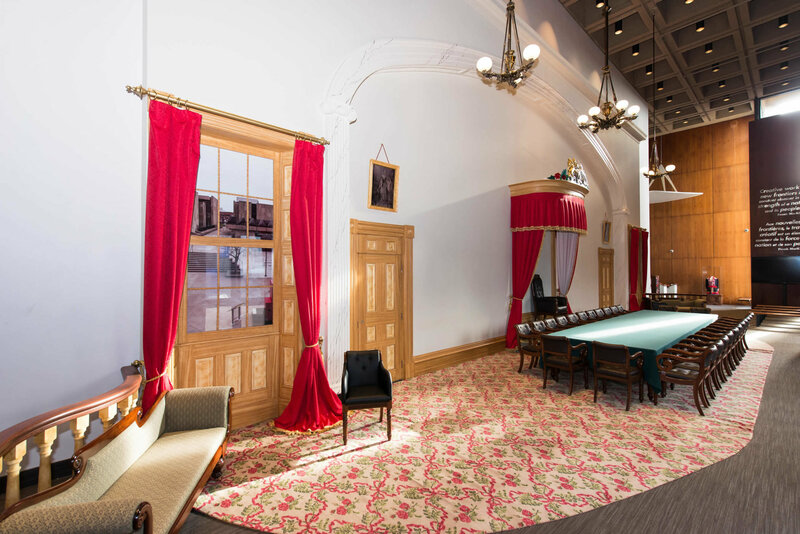 Through their portrayal of key figures such as Sir John A. Macdonald, George Coles, and Sir George-Étienne Cartier, the Confederation Players provide a glimpse into the cultural and historical context of the Charlottetown Conference and the history of P.E.I. The Confederation Players is a heritage program of Confederation Centre of the Arts. 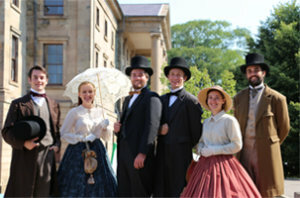 Join John A. Macdonald, Miss Mercy Coles, Colonel John Hamilton Gray, George-Étienne Cartier, and members of the Slaymaker and Nichols’ Olympic Circus on the steps of Province House National Historic Site in this 15-minute historical reenactment, exploring the personalities and politics of the 1864 Charlottetown Conference on Confederation. Get swept up in the action and join the Players afterwards for a photo or in-character discussion surrounding the Magnificent Scheme – uniting the colonies of British North America into a bold new country. Tours are available during peak season.